From one of our most beloved authors—and in the style of his Trains and Lovers—comes a new collection of thematically linked short stories on the subjects of love and art, each one inspired by an intriguing old photograph. While gathering material for a photography book about Edinburgh, Alexander McCall Smith found himself inspired to create stories about the people captured in a number of particularly striking photos. A smiling girl leading a younger girl astride a pony, and a boy in a kilt on a tricycle beside them, gives rise to a story of a lifelong romance between the two riders. A dapper, roguish-looking man perching on a lady's knee sparks the story of a ventriloquist and an animal handler who work in a circus, and who, under the most delightfully unexpected circumstances, fall in love. The image of a woman haloed by light in a train station becomes the lighthearted tale of a nun's decision to leave the sisterhood and discover what the big city has to offer. 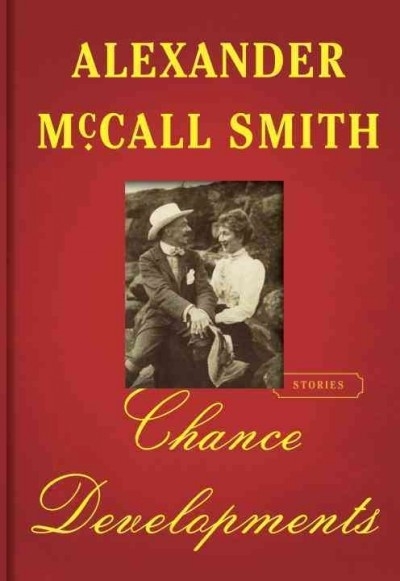 Charming and poignant, this collection is brimming with the flourishes of grace and humor that could only come from the pen of Alexander McCall Smith.